Companies need to adapt their performance management strategies to better reflect the changing dynamics of the modern workforce and ensure their employees reach their potential. According to Deloitte, 58% of executives believe their current performance management approach neither drives engagement nor leads to high performance. Even today’s top leaders think “the old way of doing things” is throwing resources down the drain! 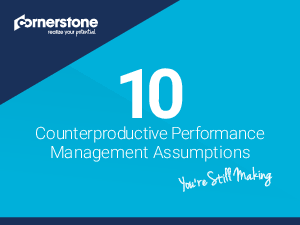 Check out 10 outdated performance management strategies you might still be clinging to, and how you can revitalize your talent development initiatives to maximize the power of your employees.